Annie Smith from Digicel Pacific - Digicel were innovators in launching their mobile money program in the Pacific over the last few years, and were able to rapidly create a footprint in a number of markets including Samoa, Tonga and Fiji. Annie is a new starter in Digicel and will be looking at how these services can move to scale and create a valuable channel for her company. Her insights to these markets and plans for the future should be of value to all mobile money practitioners. Have a look at their site for more details - http://www.digicelmobilemoney.com. Ian Watson from WING Cambodia - WING has recently been sold by ANZ to Refresh Mobile. Ian is currently merging the two companies and has publicly said that he plans to expand the WING business model of providing financial services to unbanked Cambodians. His presentation should provide a fascinating insight into his plans for the future. 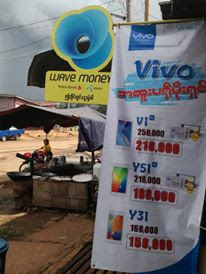 Read more about WING Cambodia and the acquisition by Refresh Mobile here - http://www.wingmoney.com/en/ and http://www.sea-globe.com/Business/winging-ways-refresh-mobile-wing-cambodia.html. Oyungerel Rentsen from Mobifinance - Mongolia is a mobile money market that I certainly don't know a lot about, but this country of 2.75 million people has 20% of its population living under $1.25 a day, and is also the most sparsely populated country in the world (http://en.wikipedia.org/wiki/Mongolia). I imagine there should be some intriguing insights as to how mobile money is developing in this country - Mobifinance is a standalone company that has been set up by the largest mobile operator in Mongolia, Mobicom. If you speak Mongolian, have a look at their website here - http://mobifinance.mn/mdb.